On another website I frequent this is by far the most popular thread there. I thought I would try it here. Now guys we're not talking the daily driver or momma's car. 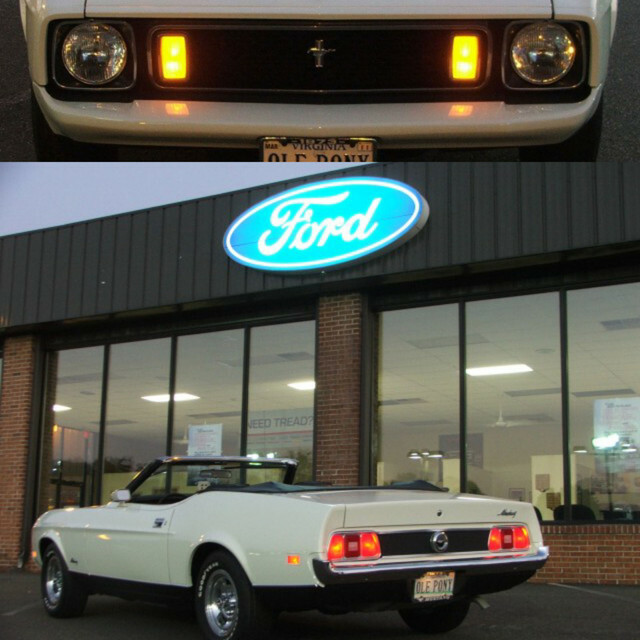 Let's keep this specifically devoted to posts on our 71-73 Mustangs. Like usual no flaming, constructive opinions and commments please. Stared at it wondering where when my back orders are coming in, then left for work. I looked at a few photos of them this morning and then nothing! Stuck at work...no Mustang action until the weekend! Well, I did not really work ON the car but I am still cataloging stuff in the garage. Found some black "kick panels" that I had forgotten I had and some chrome pieces that I had to research to find out what they came off of (LOL). They are for '71 - '73 Mustangs, so I am labeling them and adding to the "Keep" storage bins. Also found some '73 tail light assemblies! cobra off the car I'm doing that also. I've been throwing out so much stuff i hung on to. over the weekend i must of thrown out about 500 pounds of old broken parts and i still have more to go. I'm trying to widdle down my junk footprint as much as possible. I feel like a hoarder that is finally digging out. i hate the fact i have a ton of spray paint i do not want anymore. Still working on getting my March serpentine system to line up correctly. Did manage to get my valve covers drilled for oil cap, etc. New plugs, serpentine belt, water neck, and dip stick bought. Maybe Thursday night will be a little more productive. I stood in the garage and stared at my 73 Vert for a while! I followed OLE PONY's lead and stood in the garage and stared at my 73 Vert for awhile. It stared back. Neither of us said anything. Fired up my fastback and let it run for 20 minutes. Still has last years gas in it. I put a ton of new parts on it 2 years ago and said the next time I drive it it will be to the bodyshop. Well I haven't made it yet.